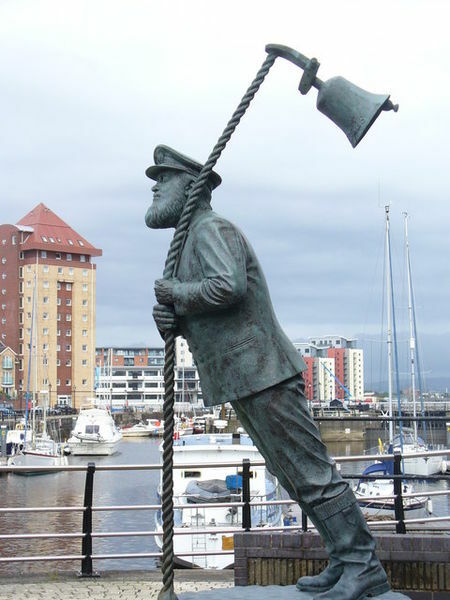 The Whimsical Statue located at Swansea Marina, Wales, UK – depicts ‘Captain Cat’ from Under Milk Wood, by welsh poet Dylan Thomas. The statue was created by sculptor Robert J R Thomas, and unveiled in 1990. The opposition between Cancer and Capricorn stands for conflicts between indivdual emotionality and public responsibility, personal likings and duty, empathy and rejection, sympathy and antipathy, feeling at home and leaving, living in water or on dry land, modernity and classicism. The leaning position of the statue stands for conflicting energies and topics as in the case of the leaning Tower of Pisa – standing, falling or lying – the situation appears as undecided. Read more about the mechanisms of that conflict in my blog article:. Astrogeographic position for morphogenetic field level 4 which describes the atmosphere and energetical topics of the statue itself: located in self-protectiveemotional water sign Cancer sign of feeling at home, coasts, kais, beaches, islands, natural habitat of crabs, moon, motherhood, childhood, milk, souces. In art Cancer stands represents the allowance for individuality and subjectivism of emotions through its relation to authentic emotions. 2nd coordinate in Cancer`s opposition sign solid, conservative earth sign Capricorn sign of control, authority, hierarchy, rules & regulations, strictness, impediments, obligations. Capricorn relates to the ruling class or ruling personality and therefore relates to the role of a Captain as the commander of the ship.